The T9.9 has been completely reworked and designed into the smallest four stroke in this class. 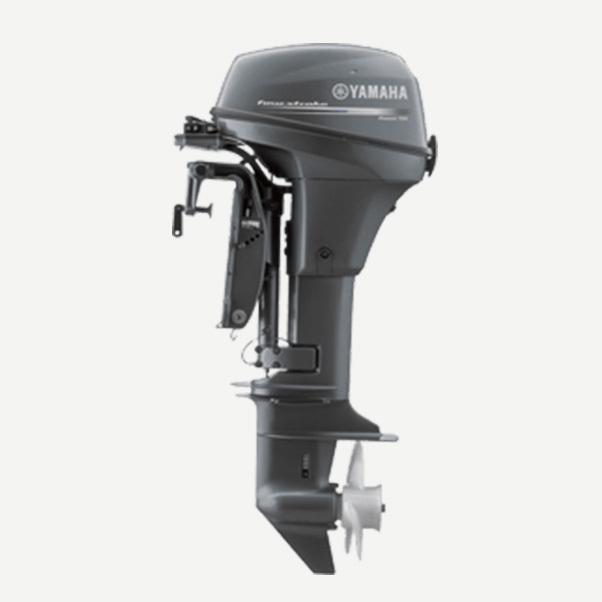 It has all the features found in the F9.9 plus the additional benefits of Yamaha’s exclusive high-thrust drive system, making the T9.9 the ideal choice for kicker, pontoon or any application where lightweight torque is required in both forward and reverse. An added resting pad means more storage options and improved storage stability, while the redesigned tiller handle allows the stored motor to take up less space. The driveshaft on the new F9.9F and T9.9G has a special centre section that is narrower than the ends. It is designed to temporarily “twist” should the prop coming into hard contact with an underwater object, protecting the powerhead, propshaft and other vital engine components. Yamaha’s unique dual-thrust propellers are designed to redirect the exhaust flow away, thereby reducing cavitation. This feature provides up to 60% more thrust in reverse. The T9.9 is among the quietest engines in its class thanks in part to a single-latch sealed cowling, labyrinth exhaust and a water-sealed exhaust tube ? which provide excellent sound dampening. A long-span mounting system with large rubber engine mounts helps reduce vibration and noise. Yamaha’s unique YDC-30 aluminium alloy protects the engine’s exterior parts, while a zinc coating, high-quality stainless steel and 5-stage exterior coating offers long-lasting protection inside and out.